All you need to do is ring up and the moment you come through the door you will be warmly welcomed by the owner of the house. She loves having people to stay and she will treat you like a special guest. 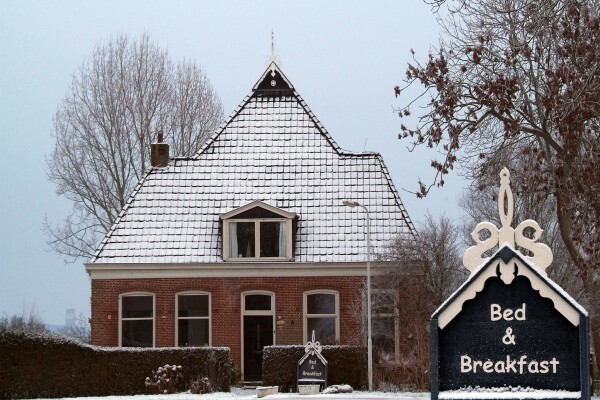 At Bed & Breakfast “BijDeGraaf” you can stay, look around, join in the conversation and communal life, but also relax, take yourself off and go your own way. You will be staying in a house with a history. The rooms are artistically and authentically furnished, in warm colours, with masses of light and with a view of peaceful, rural village life. You can have a hearty breakfast at ‘Zuid-Frankrijk’’ or if the weather gods are less well inclined towards us, your hostess will ‘’wheel’’ your breakfast into your spacious room. Breakfast is fresh, refreshing, surprising and varied. To give you a feeling of total relaxation, the luxurious bathroom has under-floor heating, a large bath, two washbasins, shower, toilet and bidet. Room 1 is the old ''sunday room" room of the house. This room has four large windows with beautiful shutters. The room is bright, spacious but also warmly decorated; an old gas stove creates a cozy atmosphere. The guest bathroom is adjacent to this room and is equipped with all comforts like a bath, double sink, bidet, toilet and a large shower area. The underfloor heating makes it extra comfortable. The famous Philippe Starck served as inspiration for the design of the bathroom. Room 2: This is the room on the upper floor where the 150 year old rafters are visible. This room is spacious 40m2 and has one double bed and two single beds. Most suitable for a family or friends weekend! This room has a private bathroom in which design and old are combined. No experiences yet with BijDeGraaf. Be the first! Did you stay in BijDeGraaf? Let us know what you thought about it and help others to make the right choice! * I confirm having stayed in BijDeGraaf. 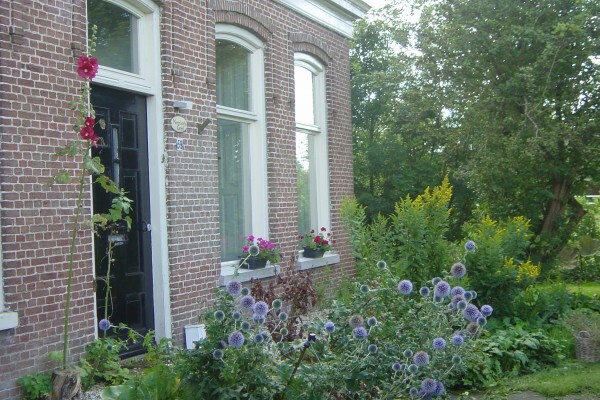 Find other bed & breakfasts in Finkum or all bed & breakfasts in Friesland.